This warranty provides you with protection against the expense of repairs for your boat hull that are required as a result of defects in materials or workmanship. 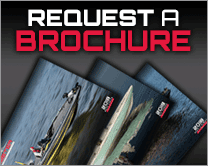 This warranty provides you with specific coverage and notes your responsibilities in maintaining and operating your boat. Please take the time to read and become familiar with this warranty. Any new Skeeter boat purchased for non-commercial use from any authorized Skeeter boat dealer in the continental United States by the original retail purchaser, will be warranted against major structural defects in material or workmanship and also have a component warranty. For the duration of ownership of the first retail purchaser, the Skeeter boat will be warranted against any major structural defects in material or workmanship for the hull, stringers and transom. 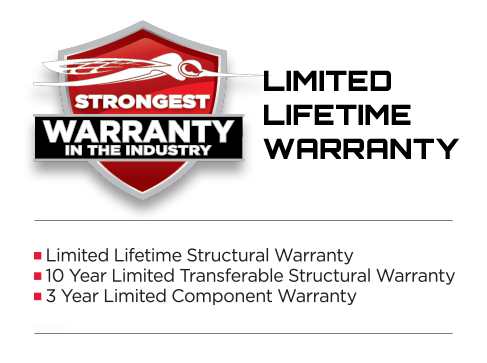 This structural warranty may be transferred during the 10 year warranty period to a second retail purchaser, according to the terms below. Structural Warranty to the second retail purchaser will expire 10 years from the first retail purchase date. The following factory installed parts and component Warranty Period is three (3) years from the date of purchase subject to the limitations as outlined below. This component warranty may not be transferred to a second purchaser, even during that three (3) year period. Steering helm, cylinder, hoses and cables. Aeration pumps, valves and timer. Deck hardware such as locks, cleats and fasteners. Defects in the exterior cosmetic gelcoat finish (cracks or crazing) and upholstery imperfections. Warranty Period runs one year (1) from the date of delivery to the original retail purchaser. Repairs will only be authorized after Skeeter is satisfied that there is a defect in material or workmanship. The first retail purchaser may transfer the warranty to the second retail purchaser, during the first ten (10) years after the original retail purchase of the Skeeter boat from an authorized dealer. Structural Warranty to the second retail purchaser will expire 10 years from the first retail purchase date. Coverage remaining under the Structural Warranty may be transferred by an authorized Skeeter dealer to a second purchaser for a $200 fee. The transfer must occur within ten (10) years of the original retail sell and the transfer fee must be paid within thirty (30) days of the purchase of the boat to transfer the warranty. Proof of purchase date is required. The warranty may only be transferred once. Such notice shall be effective when received by Skeeter at One Skeeter Road, Kilgore, Texas 75662. NOTE: Skeeter will complete repairs covered under this warranty during the first year of ownership at no charge to the owner, After the first year, the owner must pay a deductible of $50 per claim to the servicing dealer for service performed under this limited warranty. CONDITIONS OF WARRANTY The boat must be warranty registered by the dealer via the YDS System within 10 days from the original retail purchase date before any warranty request can be processed. Owner shall pay the tear down and repair costs if it is established that the part or parts thought to be defective are not covered by this warranty. 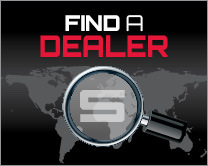 Skeeter reserves the right to alter models, change colors specifications, component parts, materials, equipment and prices or cease production of certain models at any time without notice. Such changes may be made without incurring obligations to equip or modify units produced prior to the date of such changes. Removal of engines or other equipment not installed by Skeeter prior to repairs and subsequent reinstallation of same after repair is not the responsibility of Skeeter and shall be paid for by the boat owner. 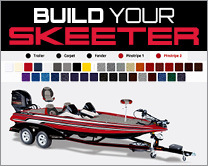 During the period of warranty, Skeeter or its authorized representative will, free of charge, repair or replace, at its sole discretion, any part adjudged defective by Skeeter due to faulty workmanship or material from the factory provided the original owner returns the boats, with transportation prepaid, to the selling dealer or, if necessary, to the Skeeter factory or any other reasonable place designated by Skeeter. Should Skeeter elect to replace the entire boat, the replacement boat shall be subject to the remaining duration and conditions of this warranty and not be subject to an extended or new warranty unless otherwise provided for by both parties in writing. The liability of Skeeter shall in no event exceed the actual cash value of the covered item. The boat owner will be responsible for all transportation, haulouts, loss of time, inconvenience, travel expenses, loss of use, launch, towing, storage and other expenses incurred in returning the boat for warranty service. All parts replaced under warranty shall become the property of Skeeter. Customer will be responsible for insuring the boat is properly operated, maintained and stored as specified in the applicable owner's manual. The owner shall return the boat to an authorized Skeeter dealer for review of all reported warranty defects within specified warranty period. Warranty repairs will be performed by Skeeter, or its authorized representative, in accordance with the other provisions of this limited warranty. Under the terms of this warranty, the customer will be responsible for insuring the boat is properly operated, maintained and stored as specified in the applicable owner's manual. The owner shall return the boat to an authorized Skeeter dealer for review of all reported warranty defects within specified warranty period. Warranty repairs will be performed by Skeeter, or its authorized representative, in accordance with the other provisions of this limited warranty. This warranty will not cover the repair of damages as a result of abuse, alteration, modification or neglect. Racing or competition use, modification of original parts abnormal strain or commercial use. Lack of proper maintenance and off-season storage described in the owner’s manual, installation of parts or accessories that are not equivalent in design quality to genuine Skeeter parts or failure to perform the periodic maintenance with Skeeter’s owner’s manual and recommendations. Damage as a result of accidents, collisions, contact with foreign materials, improper trailering, submersion, unreasonable use, abuse, or tampering. Growth of marine organisms on hull or deck surfaces. Normal deterioration and demand caused by overpowering according to the maximum horsepower specifications on the capacity plate provided on each Skeeter boat. Any representations relating to the speed and/or weight of the boat. Dealer preparation including but not limited to cleaning and adjustments or alignments in preparing the boat for final delivery. Window breakage, and leakage around windshields, windows or hatches or other apertures. Gel coat finishes including, but not limited, to cracks, crazing, checking, discoloration or blistering. Varnishes, paints, powder coating, chrome-plated, stainless steel, or anodized aluminum finishes. Deterioration caused by exposure to the elements or the use of cleaners or chemicals not recommended in writing by Skeeter. Boats used for governmental, business or commercial purposes including boats used for hire such as guides. Items not manufactured by Skeeter. However, if such it are warranted by a component manufacturer, Skeeter warrants only to the installation of such Skeeter non-warranted items according to the manufacturer’s instruction to the extent that Skeeter installs the same. Engine, outdrives, propellers, controls, batteries, engine brackets, trailers, electric trolling motors, depth finding devices, or other equipment or accessories not manufactured by Skeeter whether or not warranted by other, manufacturer. Installation of engines or accessories installed by others. Upholstery damage, canvas, zippers, vinyl, plastics, fabric, trim wood, or rips, tears and fading to carpets upholstery. SKEETER MAKES NO OTHER WARRANTY OF ANY KIND, EXPRESS OR IMPLIED. ALL IMPLIED WARRANTIES MERCHANTABILITY AND FITNESS FOR A PARTICULAR PURPOSE EXCEED THE OBLIGATIONS AND THE LIMITS STATED IN THIS WARRANTY ARE HEREBY DISCLAIMED BY SKEETER AND EXCLUDED FROM THIS WARRANTY. SOME STATES DO NOT ALLOW LIMITATIONS ON HOW LONG AN IMPLIED WARRANTY LASTS, SO THE ABOVE LIMITATION MAY NOT APPLY TO YOU. ALSO EXCLUDED FROM THIS WARRANTY ARE ANY INCIDENTAL OR CONSEQUENTIAL DAMAGES INCLUDING LOSS OF USE. SOME STATES DO NOT ALLOW THE EXCLUSION OR LIMITATION OF INIDENITAL OR CONSEQUENTIAL DAMAGES, SO THE ABOVE EXCLUSION MAY NOT APPLY TO YOU. THIS WARRANTY GIVES YOU SPECIFIC LEGAL RIGHTS, AND YOU MAY ALSO HAVE OTHER RIGHTS WHICH VARY FROM STATE TO STATE. THIS WARRANTY SHALL APPLY IN ACCORDANCE TO THE LAWS OF THE STATE OF TEXAS. THIS DOCUMENT CONTAINS THE ENTIRE WARRANTY GIVEN BY SKEETER AND THERE ARE NO TERMS, PROMISES, CONDITIONS, OR WARRANTIES, OTHER THAN THOSE CONTAINED HEREIN. 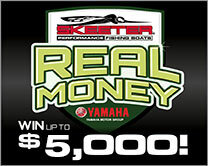 NO ORAL OR WRITTEN INFORMATION OR ADVICE GIVEN BY SKEETER, ITS DEALERS, REPRESENTATIVES, AGENTS OR EMPLOYEES SHALL CREATE A WARRANTY BY SKEETER OR IN ANY WAY INCREASE THE SCOPE OF THIS WARRANTY.